Eighth Doctor Paul McGann has teamed up with his brother, writer Mark McGann, to embark on a short film project based on Elizabeth Barrett-Browning’s poem ‘Perplexed Music’. McGann is to be directed by his brother in the film about the cycle of devoted love, loss and rebirth. It is hoped that the project, which is being funded by a Kickstarter campaign, will be filmed in the Spring of 2017 at various locations in Wiltshire, Cornwall and Somerset. Mark McGann started writing the screenplay for Perplexed Music after being inspired by Elizabeth Barrett-Browning’s poem of the same name. It will explore the temporary madness, isolation, catharsis and new beginning experienced by a middle-aged man, played by Paul, as he battles for reason, stability and the strength to continue on his journey without his life companion. Reading the poem reminded me of the key role music plays in the elucidation of the higher universal truths that bind us all. It resonated with me strongly, as I sought to focus the idea for the film into a cinematographic concept. As the aim of the film is to elevate the viewer by finding the route through to their heart via a shared humanity and identification, I can think of no one better than Paul to play the central role. He’s wonderful at drawing an audience in out of curiosity, then allowing them the space to make an interpretation personal to them. I’m really excited he’s agreed to do it! I can’t wait. I love experiencing roles that throw you out of your comfort zone, that’s part of the buzz of performing. Nexts Wednesday sees the release of a new Titan Comic featuring the Eleventh Doctor. BBC Worldwide have confirmed that the 1996 television movie starring Paul McGann will be released on Blu-ray in September. Further details will be available nearer the release date as the sleeve and extras are still being finalised, but according to Amazon UK's pre-order entry it will comprise of two discs. The TV Movie celebrated its 20th anniversary in May this year. JOHN HURT, THE WORLD-RENOWNED STAR OF FILM AND TELEVISION, IS RETURNING TO THE ROLE OF THE WAR DOCTOR, IN 12 FULL CAST DOCTOR WHO AUDIO PLAYS. I have been a huge fan of John since first seeing him in the repeats of I, Claudius in the 1980s and in his Oscar-nominated role as the eponymous The Elephant Man. Watching his performance in The Day of the Doctor I did find myself fantasising that some far off day we might have the chance to work with him on the audio adventures of Doctor Who and now two short years later it’s happened! John wove a fantastic character together from a great script by Steven Moffat. Now we have the chance to get to know that character more and hear John stretch in the role. We’re all in for a hell of a ride as the War Doctor engages in battle. But who are the greater threat — the Daleks or the Time Lords? The story of the Doctor who refuses to call himself the Doctor in order to do the unthinkable upon the ultimate battlefield — all of space and time — was irresistible to me. Such a deeply disturbing and engaging character created by the formidable talents of writer Steven Moffat and actor John Hurt. It’s such a privilege to be working on this. The cast of The War Doctor also includes Jacqueline Pearce, who plays Time Lord Cardinal Ollistra — an arch manipulator who is waging the Time War against the Daleks. Jacqueline’s work includes Blake's 7, The Avengers, Callan, Moondial, Russell T Davies’ Dark Season, and from her own appearance in Doctor Who as Chessene in The Two Doctors. Only The Monstrous will be released in December 2015, and will be followed in February 2016 by the second volume, Infernal Devices, which is written by John Dorney, Phil Mulryne and Matt Fitton. Volumes Three and Four are currently in pre-production. What an utter privilege it is to work with such an iconic actor, playing such a brilliantly devised role. This is Doctor Who at its darkest — the era in which our hero casts aside his core values in order to try and save the galaxy in its most terrible hour. We promise bold and brilliant story-telling with gripping character drama, and epic and cinematic audio productions. In addition to The War Doctor, November 2017 also sees a prequel box set to the saga Doctor Who: The Eighth Doctor — The Time War, which will follow the early stages of the Time War from the Eighth Doctor’s perspective. Paul McGann stars, alongside characters first introduced in the War Doctor box sets. DOCTOR WHO: THE WAR DOCTOR SAGA and THE EIGHTH DOCTOR: THE TIME WAR are available to pre-orer from BIGFINISH.COM. Paul McGann talks about life after being the Eighth Doctor in the new edition of Doctor Who Magazine. You know what? I don't expect ever to be involved again. But I expect I'll be surprised one day by something. That's what Doctor Who's about. I expect to be surprised . . . The Watcher ponders how Doctor Who companions sometimes know things that they ought not to know, and embarrasses another supporting artiste in Wotcha! The BBC have released a short video featuring Eighth Doctor Paul McGann talking about his role in The Night of the Doctor. McGann will appear in An Evening With Paul McGann at the Ritz Cinema in Lincoln on Friday 20th December. The charity fundraising event in aid of the Ritz Regeneration fund will see the actor take part in an evening of Q&A. The evening will finish with a screening of the cult classic Withnail & I, co-starring Richard E Grant. We’re very pleased to announce that today is the day we’re beginning the release of our 50th anniversary Doctor Who story The Light at the End. We’re beginning with the Limited Edition CD box set. It's the 23rd of October, one month ahead of the anniversary of Doctor Who on the 23rd of November, and as of today, the digital download releases for all versions of Doctor Who: The Light at the End will be made available. This includes the Limited Edition, the Standard Edition and the Vinyl Edition. Mailing out of the Limited Edition CD version has begun today. Nick Briggs, executive producer: ‘The Standard Edition CDs should start to be mailed out this coming Friday, and the Vinyl Edition will start mailing on November 2nd. ‘With the anniversary of Doctor Who imminent,’ continues Nick, ‘and everyone champing at the bit for the celebrations to begin, we thought it only right and proper that our special anniversary full-cast audio should be released a tiny bit early. Our plans for this very nearly went awry when the company responsible for the physical production of our CDs (and LPs! ), Key Productions, experienced a series of unforeseeable problems beyond their control. This is what has caused the slight delay on the Standard Edition and the slightly longer delay of the Vinyl Edition. But for all our customers who can access the digital versions of all these releases, they can listen straight away. So, for Big Finish Productions, the 50th anniversary has started early. And for any of you who haven't yet ordered your copy of Doctor Who: The Light at the End, it will be on sale at the Dimensions 2013 convention (all tickets now sold) in Newcastle-upon-Tyne, where the Fifth, Sixth, Seventh and Eighth Doctors (Peter Davison, Colin Baker, Sylvester McCoy and Paul McGann) will be making guest appearances. As you may have seen, the BF Website is back up and running again. But we would ask that if you can possibly wait a few hours to download The Light at the End, please do. The problem we have discovered is that although we have ample bandwidth to support the download of the quantity of data needed (loads of downloads of The Light at the End) another issue has emerged. The problem is being caused by the sheer number of customers visiting the site at the same time. We have to confess that this is the unforeseen circumstance we simply didn't anticipate. It is because the demand is so unprecedentedly huge that we didn't know to check this before releasing. The analogy that's been used to explain this to us is that it's a bit like having one shop assistant and thousands of customers all arriving at once. Our IT people will continuing monitoring the site and will make all efforts to correct any hold-ups as the hours pass. But, as we said, if you can possibly manage to wait to initiate your download, we would very much appreciate your patience. Huge apologies from all of us here at Big Finish. Christopher Eccleston has paid tribute to Doctor Who in a special message read out to the audience at the British Film Institute's retrospective of the Ninth Doctor's era. The event panel included director Joe Ahearne, producer Phil Collinson and actor Bruno Langley. Although Eccleston did not attend, he sent a written message which was read by BFI host Justin Johnson. I love the BFI. I love the Doctor and hope you enjoy this presentation. Joe Ahearne directed five of the 13 episodes of the first series. He understood the tone the show needed completely – strong, bold, pacy visuals coupled with wit, warmth and a twinkle in the performances, missus. If Joe agrees to direct the 100th anniversary special, I will bring my sonic and a stair-lift and – providing the Daleks don’t bring theirs – I, the ninth Doctor, vow to save the universe and all you apes in it. The BFI has also confirmed that both David Tennant and Paul McGann will appear live on stage for the look back at their retrospective eras as The Doctor. The Tenth Doctor event on Sunday 29th September will include a screening of the Series 4 two-part finale The Stolen Earth/Journey's End, while the Eighth Doctor screening of the TV Movie will be held on Saturday 5th October. 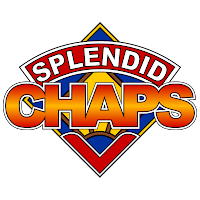 Details announced of Splendid Chaps: "Eight/Science"
Tickets are now on sale for their Eighth Doctor show! Their eighth major episode brings them to the Doctor of the show’s “middle period” between classic and new Who - Paul McGann’s Eighth Doctor. A cult figure thanks to his starring role in Withnail and I (alongside alternate Ninth Doctor Richard E Grant), McGann was a popular choice and garnered much kudos for his performance – but almost nothing else about the American co-produced telemovie seemed to please audiences on either of the Atlantic, and no new series was produced. It’s a weird moment in the so-called “wilderness years” between old and new Who. It is also National Science Week, so Splendid Chaps are also looking at science in Doctor Who. Ostensibly science fiction, and starting out life with an educational remit, Doctor Who originally alternated between trips to historical events and sci-fi tales that were meant to teach us about science. But amongst the mad scientists, wobbly grasp of concepts like “black hole”, “neutron” and “constellation”, and the rather more fantastical bent of the post-2005 show, does Doctor Who actually depict real science in any meaningful way? Does it champion the idea of being “sciencey”? What does it get wrong, what does it get right, and what can we learn from it about science in either case? Hosts Ben McKenzie, John Richards and Petra Elliott will be joined by a panel of actual scientists including biologist and geneticist Jack Scanlan. Plus a musical performance, and all the usual prizes and surprises! Podcast: not yet available; released 23 August 2013. Fans worldwide are invited to relive and discuss the 1996 TV Movie in the company of two of its stars, in a online event RegenerEIGHT. Daphne Ashbrook and Yee Jee Tso will be providing commentary on the story, via a special event hosted at Google Hangouts, which begins at 2000 GMT Sunday. That's 9pm UK time, 4pm EDT or 1pm PDT, and 6am Monday morning for those in east coast Australia. Daphne Ashbrook played Dr. Grace Holloway in the 1996 film, which starred Paul McGann in his only TV appearance as The Doctor and which also featured Sylvester McCoy. She’ll be bringing her own experience of the film, thoughts on her character, and stories from behind the scenes. Ashbrook also starred in four Big Finish audio dramas including “Doctor Who: The Next Life”, Companion Chronicles “Tales from the Vault” and “Mastermind”. Yee Jee Tso played Chang Lee in the movie. His Doctor Who connection continued when he played the part of Doctor Goddard in the webcast Real Time produced by Big Finish Productions, the part of Major Jal Brant in the audio drama Excelis Decays in 2002 and the role of Warrant Officer Charlie Sato in 2011′s Tales from the Vault. To participate viewers need to have their own copy of the movie to watch. The commentary and chats will be launched from Google Hangouts on Air. Anyone with any Google account: YouTube, Gmail, G+, can participate. The event will also be simulcasting on YouTube and daphneashbrook.com. The event also has its own Facebook page.